Below is a partial list of writers who have had their writing published on The Iranian. If you would like to be published on The Iranian, please click here to submit your writing(s). Aboli Moezzi was born in Iran in 1959. Later on in 1979, migrated to the United States to continue his education. Since 1991, he has been working as Hydrologist Senior in Austin Texas. He has published seven books and currently working on two collections of short poems. A collection of his short stories and poetry can be found on Amazon.com. Alex is a freelance science journalist based in New York City. She has contributed to Popular Science, The Atlantic, Motherboard, The Verge, and Audubon Magazine. Born to love and live! Want bigger things. Loves when inner kid takes command. Finds passion in creating visual stuff. My blood is green and my heart blue. My work activates space as a platform that stimulates experiences and kinesthetic learning. With that in mind, I design immersive environments intended for self-reflection, mind/body awareness, and community building. Azar Majedi is a writer, women’s rights activist, a video-blogger, political activist and a free lance lecturer. She is the president of Organisation for Women’s Liberation www.womensliberation.net, and a leading member of Worker-communism. Behrooz Parhami is Professor of Computer Engineering at the University of California, Santa Barbara. He has written several textbooks, including Computer Arithmetic (OUP, 2000), and more than 200 research papers. He is a fellow of both the Institute of Electrical and Electronics Engineers (IEEE) and the British Computer Society (BCS). He is a member of the Association for Computing Machinery (ACM), and a distinguished member of the Informatics Society of Iran, for which he served as a founding member and the first president. Behrouz Bahmani is an Iranian-American writer. He writes about the condition at a time when being an Iranian in the world is a huge...challenge. Ask Bourdain. CASMII is an independent campaign organisation with the purpose of opposing sanctions, foreign state interference and military intervention in Iran. I am interested in Mathematics, literature and International relations. I live in Tehran, Iran. The New York based Reporter Dr. Davood N. Rahni is a novice commentator on cultural and political affairs. By profession, he is professor of chemistry, environmental science and environmental law. I am an avid writer, gamer, history buff, and tech enthusiast. I left a well-paying I.T. job a while back for a low paying NGO one because I wanted to make a visible impact on society, especially in the fields of education and health care. Mr. Ferrari’s main areas of practice are assisting clients in complying with and addressing issues related to U.S. trade sanctions and white collar federal criminal defense. Believe in a democracy that leaders and representatives are controlled by members at all times. Farnaz Battikhi is a Persian miniature artist. She was born in Tehran, Iran. Her Persian background influenced her drawing style and techniques. She mainly practices the art of miniature and ornaments using using watercolors. Fereydoun Safizadeh teaches anthropology at Boston University. He holds a Ph.D. in Anthropology and Middle East Studies from Harvard University. Feridon Rashidi has written more than 35 short stories, 25 of which are published as a collection, Tales of Iran, including the award-winning stories, Ashura, The Pigeon-fancier, and Eshrat Khanum. He has also published two novels, The Outcast and Sharia Law Shakespeare. Dr. Iman Sadri is a cosmetic and sports dentist, as well as an avid blogger. Born in Iran, Jahanshah Rashidian studied psychology in France and is currently a German national. He is a freelancer and writes on democracy, secularism, and human rights issues in several languages. Kathy Hadizadeh Writer/Screenwriter/Blogger Passionate award winning writer, well traveled, immigrant, mother of 2 kids, who speaks several languages brings you stories. Stories of diaspora, motherhood, immigration, cultural differences, and unto. Kaveh Afrasiabi has a Ph.D. in political science is also the author of After Khomeini: New Directions in Iran's Foreign Policy (Westview), Nir/North (NEPCO), and Infringements (Astro's Press). Afrasiabi has taught at Tehran University and is a former consultant to UN's program of Dialogue Among Civilizations and a consultant to CBS' 60 Minutes. Kaveh Ghobadi received his PhD in Kurdish Studies in 2016 from the University of Exeter. He is currently an independent researcher based in the UK. Kimya Hedayat-Zadeh is a freelance journalist and environmental activist. Dr. Mahmood Delkhasteh completed his PhD in Sociology from the London School of Economics and Political Science in 2007. He is currently working on a new book based on his doctoral dissertation, Islamic Discourses of Power and Freedom in the Iranian Revolution, 1979-81. He has held lecturing positions at the American University—Central Asia (Kyrgyzstan) and Kingston University (UK). He presently works as an independent researcher, columnist and political activist. Recent articles include ‘Bakhtiar: myth or reality? Majid Naficy was born in Iran in 1952. He published poetry, criticism and an award-winning children’s book in Iran. During the 1970’s Dr. Naficy was politically active against the Shah’s regime. After the 1979 Revolution, as the new regime began to suppress the opposition, his first wife, Ezzat Tabaian and his brother Sa’id were amongst the many to be executed. He fled Iran in 1983, eventually settling in Los Angeles with his son Azad. He has since published six volumes of poetry in both English and Farsi, as well as numerous books of criticism. Mary is a writer and poet living in New York with her son. She wrote these poems during and after her recent travels through Iran. M.J. Rosenberg is a Special Correspondent for The Washington Spectator. He was most recently a Foreign Policy fellow at Media Matters For America. Previously, he spent 15 years as a Senate and House aide. Early in his career he was editor of AIPAC's newsletter Near East Report. From 1998-2009, he was director of policy at Israel Policy Forum. Mohammad Parvin, Ph.D., is a former faculty member of California Institute of Technology and an adjunct professor at the California State University, an Aerospace Specialist, and Founding Director of the MEHR Foundation. Mohsen Modiri • Born in Tehran, Iran. • From the teen age, has always been dealt with the visual arts, music, and literature. • Dedicated more than 35 years of his life to visual arts. • Exhibited his artworks. Work hard, Make Art, Have Fun. Studied Documentary Filmmaking/ film editing. Payam Nabarz, a Persian-born Sufi and practicing Dervish, holds a Ph.D. from Oxford University and is carrying out postdoctoral research there on genetics and cancer. He is a Druid in the Grove of the Order of the Bards, Ovates, and Druids; a member of the Golden Dawn Occult Society; and a revivalist of the Temple of Mithras. He lives in England. I have been living bicoastal between San Francisco and New York for almost three years. My full time gig is coding, but I love creating videos that tell a story and inspire people. Rachel is the Fellow at the Office of Public Affairs of the Baha'is of the US. She has previously worked on gender equality, human rights, and health related issues including HIV/AIDS in Kampala, Uganda. Ramin Ahmadi, MD, MPH is associate clinical professor of medicine at the Yale School of Medicine, and the founder of Griffin Center for Health and Human Rights. He represented Physicians for Human Rights in Chechnya where he investigated and documented human rights violations. He has also participated in human rights and public health projects in East Timor, Nicaragua, Uganda, Sri Lanka and Guyana. Dr. Ahmadi is the author of two books of poetry, numerous articles and short stories in Persian and English. He has also published a book on Abbas Amir-Entezam, Iran's longest-held prisoner of conscience. I moved to the US in 1995 for grad school. So far I've lived in Baltimore, Princeton, and Chicago. I'm currently on the faculty of the University of Illinois at Chicago. Political Theorist and Analyst (with special interests in the Middle East, the United States, the United Kingdom, Russia and the Far East). REORIENT is a magazine celebrating contemporary Middle Eastern arts and culture. Roman Krznaric is a social philosopher and author of books published in over 20 languages. His latest book is Carpe Diem Regained: The Vanishing Art of Seizing the Day (2017). Saïdeh Pakravan was born in Iran in a French-speaking family. She is a French-American author of fiction and non-fiction, a poet, film critic, and political blogger. She has lived between Washington, D.C. and Paris. Saeed Tavakkol was born on February 11 1958 (the day of revolution) in Ahvaz a city in southern Iran. He immigrated to the United States in 1983. His chaotic childhood, his participation in revolution and living in the turmoil of the post revolutionary society engaged in a war greatly inspired him to create. He writes fiction, satire, poetry and he paints. He also enjoys playing music, cooking and learning languages. Samira Shackle is a freelance journalist who writes for the New Statesman, the Guardian, the Times, Deutsche Welle and others. She is also deputy editor of the New Humanist magazine. She writes on politics and social affairs in the UK and overseas, with a particular focus on the Indian subcontinent. Artist: 150 exhibits, founding member of Sebastopol Gallery, collected in 20 countries. Editor: Dharma Family Treasures (North Atlantic). Poet: several books on Amazon. Environmentalist: images of kinship with all life. Counselor, Writer and Lifestyle Teacher. Shahir ShahidSaless is a journalist and political analyst writing primarily about Iranian domestic and foreign affairs. He is also co-author of a book entitled “Iran and the United States: An Insider’s View on the Failed Past and the Road to Peace,” to be released in May. He lives in Canada. Dr. Shiva Ghaed is a licensed Clinical Psychologist practicing in Southern California. She has published & worked for renowned organizations, and has expertise in mood and anxiety disorders, and trauma. Women's rights activist and spokesperson for ​Campaign to Free Political Prisoners in Iran (CFPPI), former political prisoner,TV producer and presenter. Shokrollah Kamari Majin, Cand.Scient.Soc., and Master degree in Middle East Studies, works as a social worker (Denmark), interesting area ”internal power struggle in Iran”. Currently, Ph.D student at the Institute of International Relations, Warsaw. Siamack Baniameri, a militant nudist Buddhist, has devoted his entire life to organizing support groups for men with hideous circumcisions. He also heads a nonprofit organization called, "Middle Eastern men for better body hair removal products." Baniameri has traveled the world looking for the answer to the most fundamental question asked by every man: where the heck is the remote control? Author of "The Iranican Dream"
Women’s rights activist working closely with the women’s movement in Iran. Sophia Akram is a freelance journalist, researcher and writer focusing on migration, conflict, identity and inequality. While studying, she did an undergrad in Law and postgrad in International Politics and Human Rights. Her words have since appeared in Al Jazeera, Middle East Eye, The New Arab and The Huffington Post among other publications. Soraya Heydari is a Black Anglo-Iranian writer, living in LA and working in the music industry. Zara Knox is a creative writer for IMVBox, the largest online Persian film distribution platform outside of Iran. Dr. Zohreh (Zoe) Khazai Ghahremani is the author of SKY OF RED POPPIES, winner of KPBS’s One Book, One San Diego 2012. Her sophomore novel, THE MOON DAUGHTER, has recently been released to much acclaim. 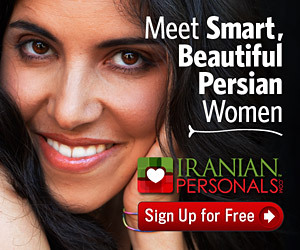 If your article has previously been featured on Iranian.com and you wish to see your profile card added to this page, please email us at info@iranian.com with a short bio, picture, social media handle(s), and a link to one of your featured articles. Thanks! Note: Writers using pseudonyms will not be added to this list.